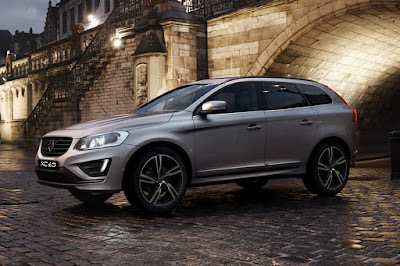 Get the Volvo XC60 and XC90 At Up to P 500,000 Off! In celebration of the Chinese New Year, Volvo Philippines is giving up to P 500,000.00 discount on select XC60 and XC90 units on stock this month. This rare half-a-million offer is definitely a treat to Volvo aficionados who are interested in buying a Volvo XC60 or Volvo XC90 luxury SUV. The special offer is also part of Volvo’s thanksgiving efforts for its loyal patrons as Volvo Car Corporation hits a new record in 2016, closing with a sales increase of 6.2 percent compared to 2015 with 534,332 cars sold, underlining the breadth and depth of the company’s ongoing global transformation. Sales of the new top-of-the-line 90 series cars were the main growth driver globally, led by the Volvo XC90 large premium SUV for which sales rose 125 percent versus 2015, highlighting the success of the company’s new design and engineering direction and boding well for the future as more new models are revealed in coming years. The new sales record in 2016 tops off another year in which Volvo Cars continued its global transformation and the re-positioning of the brand to compete with its global premium rivals. During the course of 2016, the company strengthened its leadership in areas such as autonomous drive (AD), electrification and safety, forged new business alliances, continued the renewal of its entire product range and expanded its global manufacturing footprint. Volvo Cars and Uber agreed to set up and finance a joint development project that will develop and manufacture base vehicles on the SPA architecture, able to incorporate the latest Autonomous Driving (AD) technologies up to and including fully autonomous cars. Volvo Cars will, in 2017, start the world’s most advanced and ambitious autonomous vehicle test in Gothenburg, Sweden with real families using AD XC90 cars in everyday life, paving the way for it to be a global leader in autonomous driving technologies. It will start similar tests with real people behind the wheel of its self-driving cars in London and China in the coming years. "Get the Volvo XC90 and XC90 At Up to P 500,000 Off!" Kulang pa sa kape. Monday eh. Asan po ung price nila?